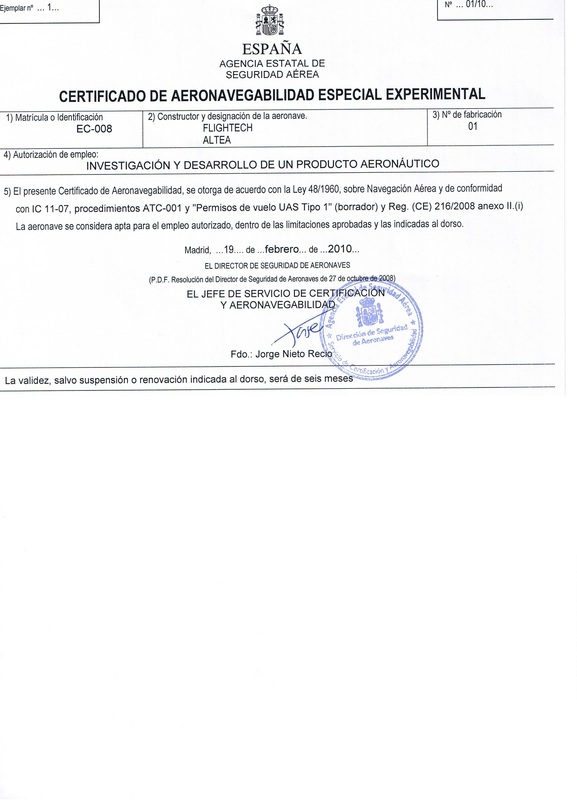 The UAV Flightech Systems is the first remotely piloted aircraft that has been filed with the Civil Aviation Authority for certification. 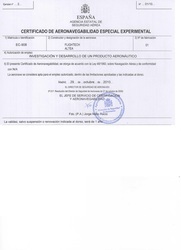 This step, which involves the ability to perform a detailed protocol and security technical qualities, represents the possibility of being, well, the first device of its kind to achieve such certification. 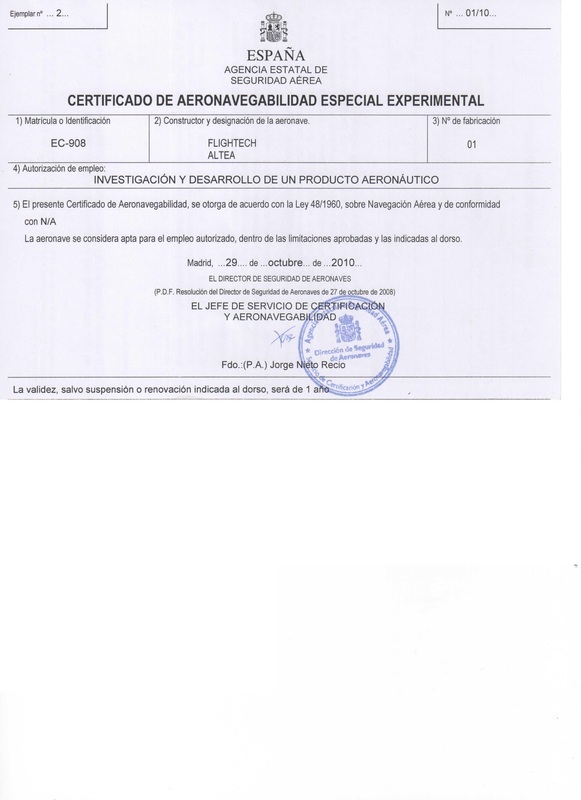 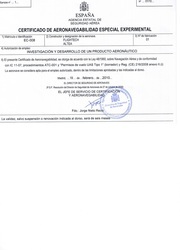 The plane already has an Experimental Airworthiness Certificate Special with registration EC-008.